Learning by making has a long established story in education, and thanks to 3D Printing this educational principle makes a real come-back. Introducing 3D Printing into classrooms changes both the way students learn and the way educators teach. Let’s examine some of the most exciting uses of 3D printing in education to better understand how 3D Printing improves both the teaching and learning process. Good news: machines are back in our schools and in our labs! The balance between theory and experience is a core learning process and the rise of the internet leads us to spend more time in a virtual environment than in the physical one. But 3D Printing sets up a new deal and bridges computers and reality in a completely new way. From desktop 3D printers to professional online service using high-grade 3D printers, 3D Printing is becoming the best ally for creative teachers in many courses, and this is definitely not limited to 3D design. Some may even say that 3D printing is revolutionizing the classroom. At Sculpteo we always use this phrase “An idea in the hand is better than 10 ideas in the head” and there’s a lot of subjects where learning becomes easier when you get it out of the books or off of the screens. 3D printing naturally fits into curricula in areas where students are required to exercise critical thinking, problem solving and design skills. 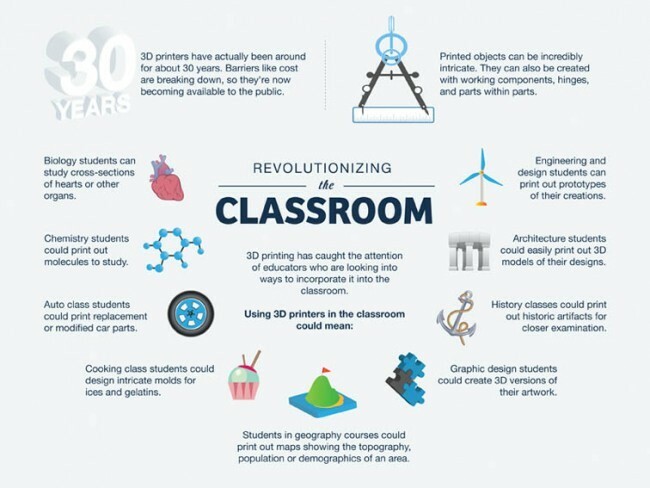 In order to illustrate these 2 ideas, we just gathered a few examples from our clients and this infographic from Onlinedegrees.org on how 3D printing could be used in education today. In the report Technology Outlook for STEM+ Education 2013-2018 (download here), the New Media Consortium stated that one of the benefits of 3d printing for educational purposes is the “authentic exploration of objects that might not be readily available“. This is absolutely true regarding fossils and other artifacts, 3D printing allows students to explore and understand the past in a real and more concrete way. These replicas can be manipulated more easily than precious archaeological artifacts and produced at reasonable costs. That’s exactly what inspired the creation of the wandering archaeological workshop “Fouille Farfouille” in France. Like real scientists, 3-6 years old children are discovering how archaeologists discover buried objects – all reproduced thanks to 3D printing. Chemistry students can print out 3D models of molecules and biology students can print out cells, viruses, organs, and other critical biological artifacts. The 3D printed reproduction allows the pupils, especially the most kinesthetic of them, to understand a process or how it works. For instance this brain replica is an appropriate tool for students to understand the neurologic activity. 3D Printing perfectly fits with Architecture since most of architectural sketches and mock-up are now designed with specialized CAD-software. 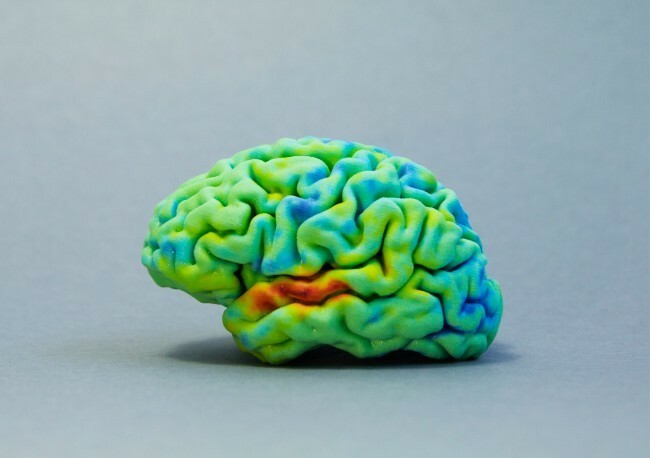 3D Printing allows students to materialize quickly their ideas, to save hours on creating manually a study mockup and therefore save time to iterate and to improve their intention. 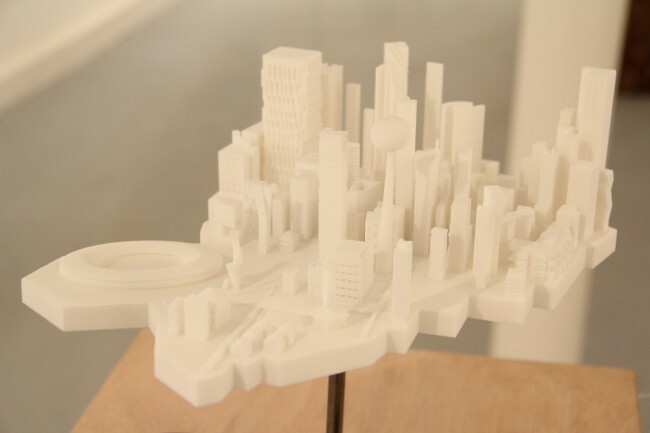 Have a look on this beautiful 3D printed model created by architecture students in Paris. The 3D model is really impressive and combines artistic intention with 3D design expertise. 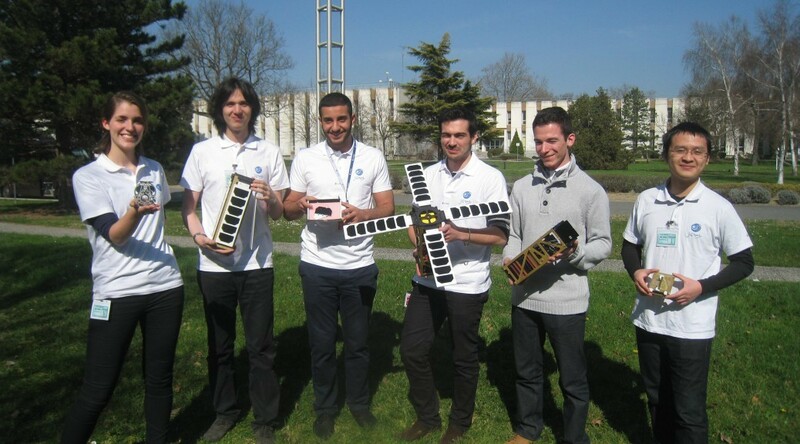 Using 3D Printing was the solution that helped the students to spend more time on the 3D modelling itself. Design programs are based on sketching and then producing these ideas in a design studio or lab in order to get the whole process from a sketch to a final product. Design teachers have often stated that the development of CAD programs or 3D modelling software lead to design students that spend more time in the virtual environment than learning from the studio and from practical workshops. In addition, since the late 1990s, computer based 3D modelling software has grown in sophistication to a point where virtual models can be assigned material properties and tested. So many students lose interest in fabrication. Fortunately, 3D Printing is linking the computer and the physical world again. Jenifer Loy from Griffith University (Australia) has been experimenting the use of 3D Printing in Design curricula since 2010. She reports “Three-dimensional printing enables the students to realize the sophisticated models they imagine, based on their expertise in 3D computer-based modelling, not based on their skills in the traditional workshop.” The arrival of 3D Printing allows students to iterate more on their models and lead the young designers to push their design further than 3D software constraints will do. Every professor using a 3D printer in the classroom or using a cloud 3D Printing Service has observed: 3D Printing is changing the relationship between students and teachers. 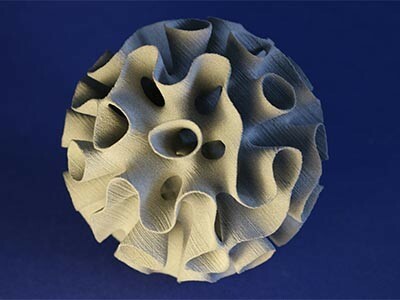 First because 3D Printing technology is new and evolving constantly in many manners: there are a limited amount of experts in 3D Printing around the world and it’s difficult to be aware of every application of 3D printing that takes place. 3D Printing classes are more open to discussion and student contributions are an important factor of success. Teachers using 3D Printing would gain to think of their course as a frame for emulation and not as an academic ‘information-transmission’ formula. In other words, the web is a more reliable source than any 3D Printing book or publication; typically 3D Printing educators instruct their students to search the internet for new projects and applications of 3D printing. This is an unconventional method considering that most classrooms require students to turn off cell phones and certainly discourage “Googling” during class. As Christine Mytko stated for her 24-kid classroom “”I have kids who are experts in certain areas. Cole has the most experience with 3D scanning. I have other kids who are very quick on Tinkercad. Anytime somebody has a question about how to make rounded edges, I’ll say, ‘Go ask James.’” Self-dependency of the group – teacher included – is one of the most innovative practices occurred by 3D Printing. Christine Mytko who works with seventh graders, also advises to avoid grading based on results (does it work or not), she instead recommends considering the complete process (from idea through iteration) of the project which could garner acceptable results. Problem solving and challenge facing is the most important learning for her. Facing the external environment has always been part of design teaching. Design schools are developing partnerships with real world clients in order to get external feedback. But sometimes a client’s goals and pedagogic milestones are difficult to combine. The School of Communication Arts in London found another solution by using eMaking. The Creative Advertising Course encourages its students to use a 3D printing online service such as Sculpteo to evaluate themselves and check if their design is good enough to be 3d Printed. For their first project we took time to explain to them how our high-grade 3D printers work and some of the important design guidelines such as wall thickness. They then worked on the complete process of creating a 3D-printable product. 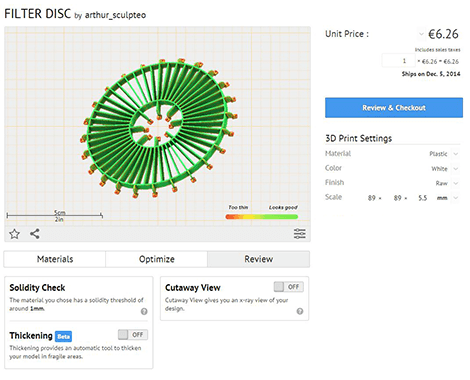 The students appreciate to use our online 3D features directly on sculpteo website the solidity of their design and to get instant feedback on the printability of their 3D file. Griffith University in Australia worked the same way: “working with international providers places the student outside the university environment and within a global environment. eMaking takes this a step further by facilitating shared global design practice and in particular learning experiences.” said Jenifer Loy. Here at Sculpteo we are more than happy to work with design students as we are doing with London King’s College or School of Communication Arts. Don’t hesitate to contact us if you’re thinking of a similar project. 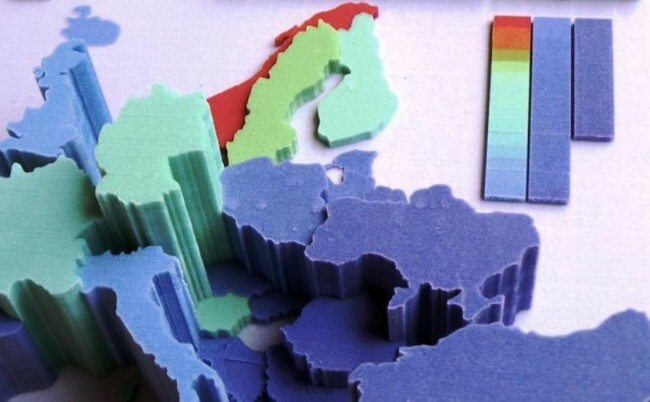 And Part #4 selects best 3D Printing Mooc and online resources. We also prepared this dedicated page for education professionals, you’ll find many information on how Sculpteo can help you to incorporate 3D Printing into the classroom.